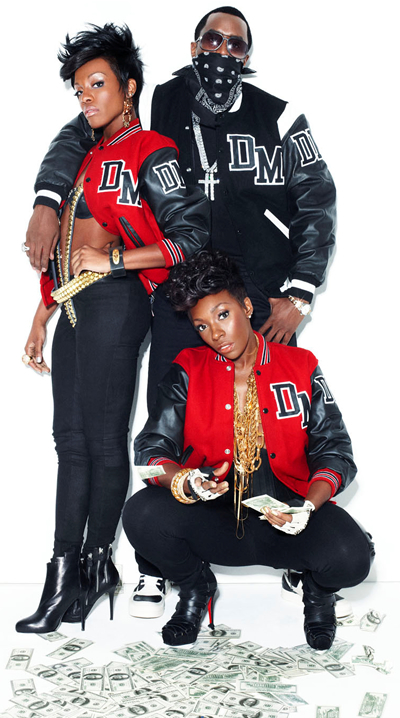 Our audio player has the two new singles from Dirty Money, the collective featuring Diddy, Dawn Richard and Kalenna. As we reported in June, "Angels (NYC Mix)" features a Biggie vocal sample from "My Downfall" off of "Life After Death" with a beat sampled from Jay-Z's "Where I'm From." The primary difference between the NYC mix of "Angels" and the regular version seems to be the removal of a 40-second intro to the track from Diddy. I hope to have this track up at some point. Update: Listen to it now. Meanwhile, "Love Come Down" features a couple of rap verses from Diddy and samples Jay-Z vocals from "Izzo (H.O.V.A.)" Check them out now and let me know what you think. I am loving them both. AHHHH MAN I LOVE ALLL THATTTTT!!! LOVE IT. I could listen to this ALL DAY!! !